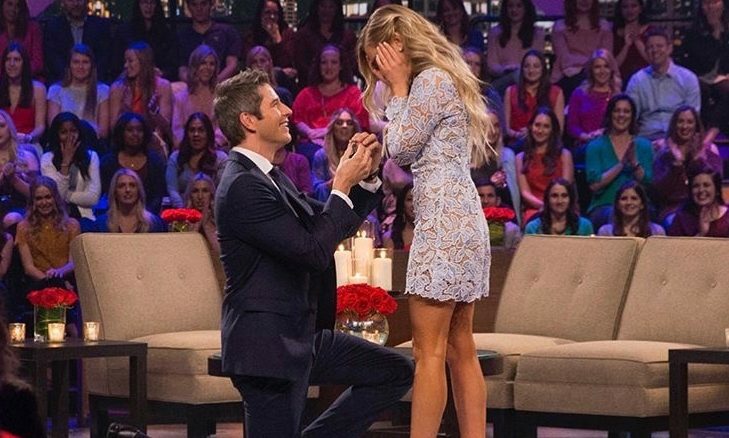 In the latest celebrity couple and celebrity wedding news, Arie Luyendyk and Lauren Burnham have tied the knot in a Twilight: Breaking Dawn-themed wedding. According to US Weekly, Burnham’s wedding dress was a stunning sleeveless gown with floral embellishments. “I love that she’s now expecting because that, honestly did not impact the design at all,” said Haley Paige, Burnham’s dress designer. Burnham drew inspiration from photos of Breaking Dawn and frequently sent them to her wedding designer. The newlyweds took photos outside with the forest behind them in a romantic setting. One photo even featured a hint of the baby bump! They expect their celebrity baby in June. How exciting for them both! They have been waiting for their special day and it sounds like it turned out perfect. The ‘Bachelor’ alum celebrity wedding was stunning! What are some ways you can have an equally glamorous wedding without the cost? 1. Don’t be afraid to geek out: Are you a Star Wars and Legos fan? If you’re going for a galactic-themed wedding, use Legos to make your wedding cake topper. If you or your future spouse have Legos from the Star Wars Line, you can have tons of fun sorting through bricks and mini light-sabers together to make a cake topper that represents you both. You can also have your hair done like Princess Leia on your special day! 2. Go for `something simpler: Okay, so maybe you don’t want to take your wedding theme off of Earth. Instead, you want your own Twilight inspired wedding. You don’t need to spend an arm and a leg on candles and lace for the bride and groom table. Go to a craft store and buy some lace to put across the table and, if you live in a rural area, let nature be the backdrop for your wedding photos. 3. Be a bargain shopper bride: You don’t have to have the most in-style wedding dress right now for your special day. Absolutely make sure you love it before you buy it, but make certain you’re aware of your budget and don’t shy away from a deal. Also, keep the bridesmaids in mind if you’re going to buy their dresses. Dress shops are bound to have dresses on clearance as long as your girls are willing to be flexible. The shoes don’t even have to be from the dress shop either. Discount shoe stores sometimes have buy-one, get-one-free: take advantage. What are some ways you can make your themed wedding day perfect without the cost?